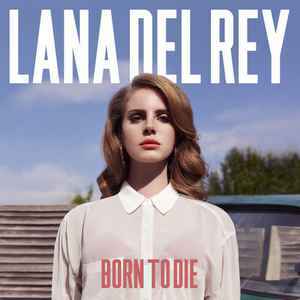 The bonus disc of Born To Die (The Paradise Edition) was also released as a stand-alone release, titled Paradise. This is not a stand-alone release, can't be. The runout on Born to Die 2xLP (A/B sides) is from a 2017 release with a different engineer. (Repress first released around March 2017. Sides A and B are cut by Peter Hewitt-Dutton at Metropolis Mastering (as opposed to John Davis on the original issue)). Yet this 'special edition' is apparently from 2012 ? Can anyone offer a different opinion. I think I just got done ..
definitely not the brilliant pressing. but not the worst at the same time. Lana's voice fits on vinyl perfectly. but, for sure, it deserve better release quality, than You get here. I didn't listen other versions of this album. And also I can see a lot of positive feedbacks here, so You may like it too. 06025 2793106 7. This is the best version of this vinyl. It sounds more full, more detailed, less compressed, more airy. Nice master. Can't comment on pops and clicks as I use the Sugarcube SC-1, which takes care of this problem completely. Can anyone advise me what Cat number is considered as the first pressing? While the album itself is excellent, this pressing leaves much to be desired. On my copy, the edges weren't cut very well leaving some jagged edges which were also very uneven. In terms of sound quality, I would give this a 3/5 as the dynamics are quite limited. Bass isn't very impactful and present and the sound tends to be on the brighter side. In general, this sounds very compressed and not as open and dynamic as it's high quality digital counterpart. For the price I paid, I'm generally happy with this purchase, but I wouldn't pay more than $10 for this pressing. You can't go wrong with an Optimal pressing. Absolutely lovely. A good solid alt-pop album. I remember when "Video Games" came out in 2010, so forgive me for quietly singing along to that one while holding back soft tears. is this the one with the made in czech republic sticker on the back? So different master engineer, same studio, same pressing plant. Does this sound any different or better than Lana Del Rey - Born To Die? Records I got in 2019 by EllieF.